Late in November, just before Thanksgiving, Abdullahi ali Anshur was murdered by al Shabaab in Mogadishu. In what must have been a planned execution, they stopped his car and sprayed it with bullets. Anshur was a Somali engineer who returned to help reconstruct his homeland. In Minnesota he managed a public housing facility. He was well respected in the Minnesota Somali community, a friend of Omar Jamal, one of the best known and most progressive local voices. Jamal described him as very intelligent and gentle, very opposed to terrorism and very opposed to al Shabaab. 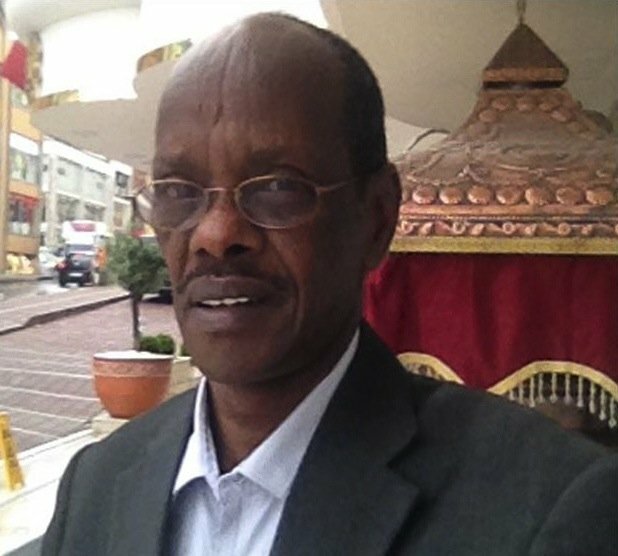 His loss is tragic for his family, for his friends in the local Somali community and for the future of Somalia. Another continuing tragic loss for the local Somali community is the loss of young men who go to Somalia to fight for al Shabaab. In August, CBS reported as many as 40 young men from Minnesota (mostly from South Minneapolis) went to fight in Islamic jihads in Syria or Somalia. How tragically ironic that a man from Minnesota who went to Somalia to help rebuild that country could have been killed by young men from Minnesota who went to Somalia in religious fervor to help rebuild that country. Why would al Shabaab want to kill Abdullahi ali Anshur? He was working on urban planning and drainage systems for the Somali government. But al Shabaab considered him a U.S. agent. In September a U.S. drone strike killed al Shabaab leader Moktar Ali Zubeyr. The assassination of Anshur was an obvious retaliation. How could young men from South Minneapolis come to believe that they are doing something noble by joining al Shabaab and possibly killing someone like Abdullahi ali Anshur? What bitter lessons could these young men have learned in Minnesota that would make them embrace jihad? Some of the young who were recruited to al Shabaab and ISIS were high school dropouts and juvenile delinquents. They were drifting without purpose, looking for something to believe. Life in America is hard and complicated. Most often their immigrant parents had marginal jobs working for minimum wage or driving cabs. To impressionable adolescents, the choice was clear. Stay in America and become losers like their parents or go back to their homeland and become winners. George W Bush was asked why Islamic radicals hated America. He said, “They hate our freedom.” And that’s about right. Most nationalists in the Middle East hate the freedom America expresses in taking their natural resources and reducing them to second class citizens in their own country. The Wahabi, fundamentalist, strain of Islam, which is the basis for al Shabaab, ISIS and Boko Haram, is an understandable reaction to Western capitalism and Western values. Wahabi cultural nationalism tried to protect Muslims from being overrun by France and Great Britain. Capitalism is aggressive and predatory. And young people don’t need Elizabeth Warren to remind them that the system is rigged against them. Islam, on the other hand, values cooperation and shared responsibility. Takaful is the Islamic principle of mutual insurance based on Shariah Law. It emphasizes cooperative risk sharing, mutual responsibility, mutual protection and solidarity among groups of participants—quite a contrast from the cultural values of American capitalism and imperialism. Al Shabaab means revolutionary youth. Given their limited alternatives, it is understandable why young men from Minnesota would choose to try to build a cooperative world in their parent’s homeland rather than continue a futile struggle against hope in an adopted land. Probably the only way to keep revolutionary youth from joining al Shabaab is to give them revolutionary work here in Minnesota.